The Fayette County Prevention Coalition is set to hold several events over the next three months to increase awareness and continue to meet their seven strategies. The first event will be held on Thursday, April 19 as members of the coalition will travel to Columbus for the “We are the Majority” youth rally. According to preventionalliance.org, on April 19 the Ohio Youth Led Prevention Network will host this annual rally with youth from all over Ohio. The rally allows youth from all over the state to celebrate living a healthy, positive lifestyle. The second event is a drug take back day. Although sometimes one day is set aside for this a year, Garrison said they hope to increase the amount of days that drugs will be received by around 50 percent. The first of these drug take back days has already been planned for April 28, with two locations to drop off unused or expired medication for safe disposal. 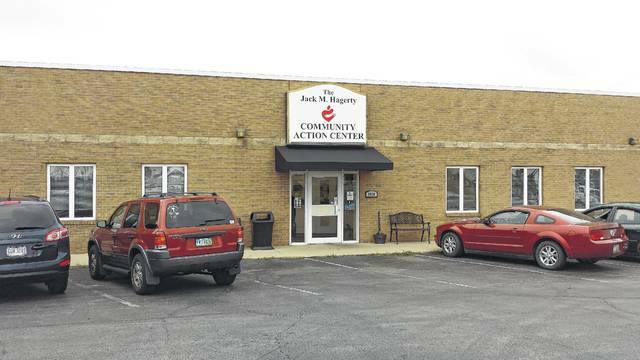 On May 14, the coalition will host another “#Pizza4Prevention” event at the OSU Extension Office, 1415 U.S. 22 NW, to help with education and awareness. Parents, guardians, kids and anyone else interested in attending will learn how to help youth avoid substance abuse, learn what the youth are doing in Fayette County to stop the epidemic, and will also enjoy a free pizza dinner. The event will begin at 6:30 p.m. The final event, called “Making the Case for Prevention,” will be held on June 14 from 1 to 4 p.m. at Southern State Community College, 1270 U.S. Route 62. The event is designed to allow residents to gain an overall understanding of prevention. Additionally, residents will learn about youth-led prevention with tips on working with a youth-led prevention group, as well as about tools and how to develop them to incorporate prevention strategies into daily work. Registration for this event is available at www.surveymonkey.com/r/PAAFC. Contact Kylena France with questions at (740) 335-7282. One topic Garrison wanted to ensure the community understands is that the compliance training and environmental scans are safe for the children to participate in. She said typically during these scans, kids ask for tobacco products at nearby gas stations or other locations to help show the business is complying with the law. The kids involved will never exchange cash or touch these products and have been trained, if the business attempts to sell them tobacco products without verifying their age, to leave immediately. Afterward an adult will follow up, prior to law enforcement taking time to communicate with the business that this practice is not legal nor right for them to do. For more information about any of these events, contact the Fayette County Community Action Commission at (740) 335-7282.